Diane Fitch, generously donated her painting, "Bridges", to our school in 2005 as her youngest children prepared to leave Mills Lawn for seventh grade. She provided the following description of this beautiful work, which features our school building, students, and playground: “The title of the painting is Bridges; I repeat that formation to tie the painting together: the children are playing London Bridge, the trees form an arc that bridges the space between them, the slide also repeats that shape. So the idea of bridges is the metaphor that I hope the painting communicates; that Mills Lawn is a bridge to learning and acquiring an appreciation of knowledge and the worth of each individual, that the children in the painting through their play are connecting with each other. ”The painting was painted in 2002 as part of a series that was inspired by the paintings of the Italian Renaissance. I was exploring the color ideas of particular painters who created a unity of color in a way I hadn't tried before (Piero, Mantegna, Lippi). I loved the freedom the artists had to use the gesture of the figure to move the viewer through the picture, and that freedom came from the subject; because they were painting religious and mythical imagery, figures could fly. “Wanting to find a subject that freed the figures from simply standing, sitting or walking led me to painting playgrounds, where children swing, climb, hang upside down. I did sketches at Mills Lawn of children playing, and then assembled the sketches into imaginary playgrounds. My sons would pose for me if I needed to see a particular pose. “I gave the painting to thank the teachers and staff of Mills Lawn for all that they have given to my children. Come to the Mills Lawn office and fill out a registration card. Bring your child&#8217;s birth certificate, social security card, proof of residency, and custody papers, if applicable. Also bring immunization records and school records. If you don't have your child's records, you will be asked to authorize us to send for records from the previous school. Special information about kindergarten Kindergarten screening will take place in the spring, and a screening session will be held in August, during the first few days of school. Kindergarten begins three days after the rest of the student body begins. You and your child will receive letters about supplies, bus schedules as well as dates and times for open house and a parent meeting. Yellow Springs and Cedar Cliff School Districts operate a preschool program in conjunction with Greene County Educational Service Center and the Council on Rural Services. The program is open to all children ages 3 to 5 who need speech therapy or educational intervention or whose family meets income eligibility criteria. Children must be residents of Cedar Cliff or Yellow Springs School District. The preschool program is located at Friends Care Center in Yellow Springs. Wonderful intergenerational activities are conducted daily. Transportation and meals are provided. Free therapy is provided, as appropriate. The program meets for 3 hours, Monday through Thursday. Call Brenda Noble at (937) 767-1303 ext. 119 for more information. Parents should suspect that their child may have delays in development or meet income eligibility for Head Start Services. An integral part of the educational program at Mills Lawn consists of the many parent and community volunteers who so generously give of their time. This year we have had over 85 volunteers working within our school, with the majority committing to a weekly or bi-weekly schedule. 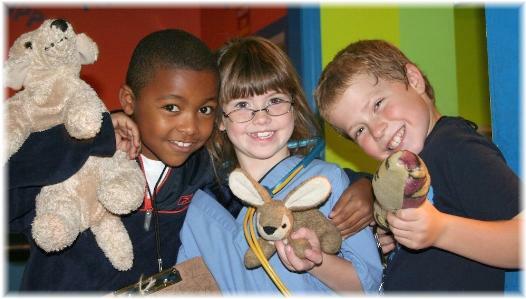 From the art room to the physical education program to individual classrooms, volunteers have assisted with such tasks as preparing materials for the teachers, providing individualized attention for students, reading books to the class, completing book orders, tending to classroom celebrations, cleaning pet cages, and weeding the school flower gardens to name a few. The list of tasks that our volunteers willingly do is endless. Mills Lawn is participating in the OhioReads program funded by the state of Ohio. It is implemented in grades K-4. Volunteers who take part in this program work individually with one particular student at a time to help them sharpen their reading skills. They work with the students on such skills as word recognition, vowel and consonant sounds, critical thinking, predicting outcomes, and retelling. This year we are fortunate to have 50 OhioReads volunteers commit to weekly time slots so that the children can look forward to their regular visits. Most volunteers give 30 to 60 minutes each week, some even more. It is amazing to see the growth that the students have made in the area of reading because of the dedication of the reading volunteers. 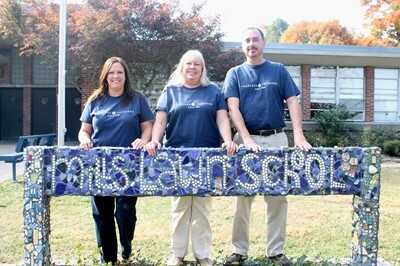 To be considered for a volunteer position at Mills Lawn, contact the school office at 937-767-7217.